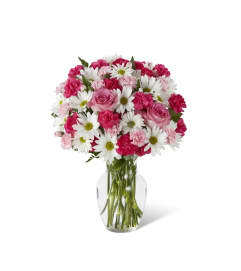 The FTD® Mother's Day Mixed Rose Bouquet is a delightful way to show how much mom means to your on her special day! 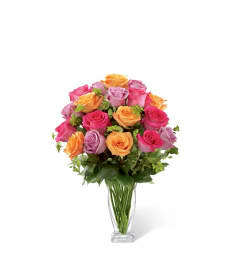 An assortment of roses in an array of brilliant blushing hues, including pink, lavender and light purple are brought together to form an exquisite flower arrangement. 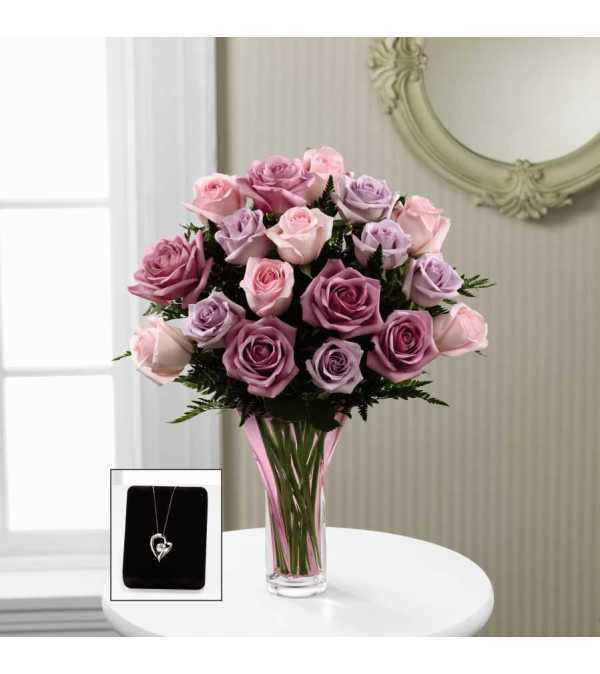 Presented in a designer pale pink glass vase and accompanied by a stunning sterling silver heart-shaped pendant with a genuine white topaz accent, this exquisite rose bouquet will convey your every emotion of gratitude and appreciation to the woman who has always been by your side.